When I paint, I never know how things are going to end up. I start with a vague idea like “someone in a doorway” or “that feeling when I’m in an old neighborhood.” The best way to start is to just put paint on the canvas. As the image progresses, the pursuit begins as things take shape. The person in the doorway turns into a woman beckoning with her empty hand, which later holds a cup of coffee offered to the viewer. The old neighborhood becomes a rainy day street scene and the building becomes my high school art teacher’s house in a section of New Orleans now being brought back to life. 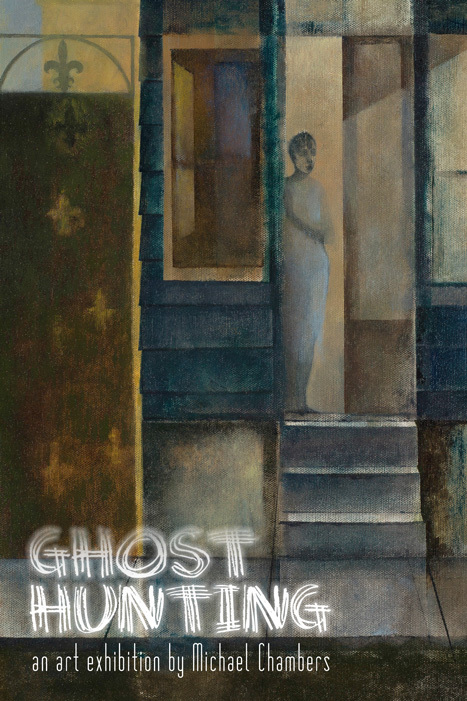 The idea of ghost hunting is much like my process for painting. Making art and looking for spirits is all about discovery. The painting pulls it all together — disappearing and re-appearing people, a feeling of serenity, impossible shadows, and a kind of friendly ethereal light. See the paintings.